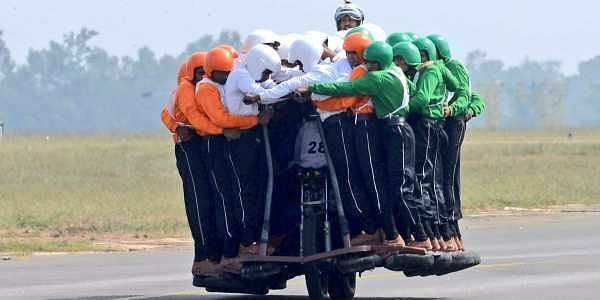 The Indian Army Service Corps created a new world record when 58 men mounted a single 500 cc Royal Enfield motorcycle and rode it for a distance of 1200 meters. 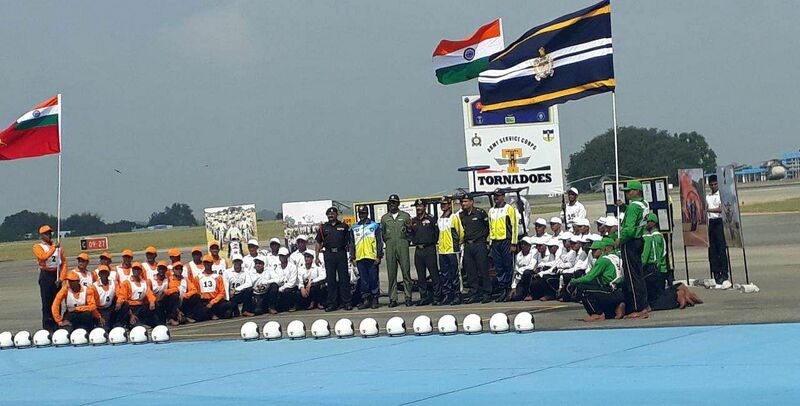 BENGALURU: A motorcycle display team of the Indian Army Service Corps (ASC) created a new world record on Sunday when 58 men mounted a single 500 cc Royal Enfield motorcycle and rode it for a distance of 1200 meters as part of a display at the Air Force Station Yelahanka. The 'Tornadoes' broke the previous record of 56 men set in 2010 by the Army Signal Corps (Daredevils) from the Indian Army. On Sunday, the team was led by Major Bunny Sharma and the motorcycle was steered by Subedar Rampal Yadav. The team presently holds a total of 19 world and national records and was formed in 1982 under the aegis of Colonel C N Rao and Captain J P Verma. The 'Tornadoes' team name has ever since been synonymous with daring stunts and record-breaking feats. The team created a sensation at its first appearance at the IX Asiad in 1982 at New Delhi. Since then the team has performed in over 1000 display shows within and outside India. The team has 39 members with two officers, two JCOs and 35 junior ranks.